Louisiana Tech University’s annual Alumni Awards Luncheon was held on Oct. 18 where Steve Davison of Choudrant was honored as the 2013 Alumnus of the Year and Brent Tippen was honored as the 2013 Young Alumnus of the Year. Five others were recognized by their respective academic colleges with Distinguished Alumni of the Year honors. Davison, a 1989 Business graduate, is an attorney and a principal owner in Genesis Energy, LP, a publicly traded energy and transportation company. He is also the developer of Squire Creek Country Club, the top ranked golf course and residential development in Louisiana. In addition, Davison is owner of Twin Creeks Farm, a horse farm and racing operation in Kentucky. Davison has been involved in the Thoroughbred industry for over 20 years, principally as a race horse owner, farm owner and breeder. 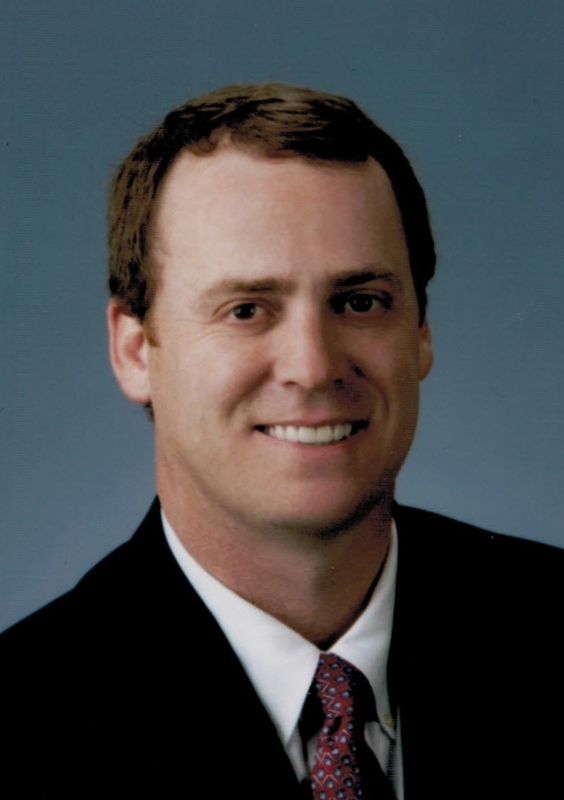 A past president of the Louisiana Tech Alumni Association and a member of the Athletics Council, Davison also serves as a co-chair of Tech’s “Quest for Excellence” campaign, a fundraising effort geared toward construction of a multipurpose facility in the south end zone of Joe Aillet Stadium. Davison has also served as a radio color analyst for Tech football games and was a four-time letterman for the Louisiana Tech baseball team. Tippen, a 2004 Speech Communication graduate from West Monroe who lives in the San Francisco area, is a Public and Government Affairs Representative and Special Projects Manager for the Chevron Corporation. He serves as a company spokesman on global issues ranging from climate change, labor negotiations, energy policy, and fuel prices, to refining/manufacturing operations. He is also a member of Chevron’s global crisis response team that assists with public and government affairs in any crisis surrounding its global operations in over 100 countries around the world. In addition to serving on the front lines of the company, Tippen also provides strategic media relations and external communications counsel to C-level executives and global operating companies particularly around crisis issues including oil spills, facility fires, protests, and other operating issues. Louisiana Tech’s College of Applied and Natural Sciences named brothers Ben and Bob Haley as co-Alumni of the Year, marking the first time two people have been honored at once by a college, let alone two brothers who chose the same career paths. Ben Haley, a 1960 graduate, is a retired anesthesiologist who worked for Anesthesiology Associates of Ruston and was a drum major for the Tech band. He married former Tech majorette Rebecca Bird Ingram Haley in the summer of 2012 after the couple renewed acquaintances during a 2010 Tech reunion. Bob Haley, a 1962 graduate, went on to graduate from the Louisiana State University School of Medicine and retired after 30 years as an anesthesiologist at Schumpert Medical Center in Shreveport. He has served as president of staff of Louisiana State University Medical Center, president of the Shreveport Medical Society, president of the Schumpert Medical Center Staff, president of the Louisiana Society of Anesthesiologists, a member of the Louisiana State Medical Society House of Delegates and a member of the American Society of Anesthesiologists House of Delegates. The College of Business honored Keith Caldwell, a 1983 graduate, as its Distinguished Alumnus of the Year. Caldwell is an inactive certified public accountant who has 26 years of finance and accounting experience in the energy industry. He is Vice President of Finance for Murphy Exploration and Production Company, a wholly-owned subsidiary of Murphy Oil Corporation, which is engaged in crude oil and natural gas production activities in the United States, Malaysia and the U.K. sector of the North Sea and Republic of the Congo, and explores for oil and gas worldwide. Recognized by the College of Education as Distinguished Alumnae of the Year was Dr. Susan Stierheim Adams, a 1984 and 1995 graduate. Adams is associate professor of counseling and development at Texas Woman’s University, and the 2012 recipient of the Distinguished Service Award from the Association for Adult Development and Aging (AADA), a division of the American Counseling Association (ACA). An internationally known speaker on adults dealing with grief and loss, Adams is also the immediate past president of the Texas Counseling Association (TCA) – the largest counseling association in the United States – and was named the 2008 counselor educator of the year by the Texas Association for Counselor Education and Supervision (TACES), a division of the TCA. Louisiana Tech’s College of Engineering and Science Distinguished Alumni of the Year honor went to Mike Pearson, a Class of 1969 graduate. As President and Chief Executive Officer of Orion Marine Group in Houston, Pearson has spent 44 years in senior leadership roles with publicly traded international construction companies developing projects appraised up to $10 billion and technology related rapid growth service companies in the private sector. At the Orion Marine Group Pearson is responsible for one of the largest publicly traded heavy civil marine construction companies in the United States with turnkey capabilities for marine construction of bridges, causeways, port facilities, terminals, cruise ship facilities, marinas, docks, pipelines, outfalls/intakes, diving services and demolitions, coastal restorations, and mechanical and hydraulic dredging services. O.K. “Buddy” Davis, a 1969 journalism graduate, received the College of Liberal Arts’ Alumnus of the Year honor, after spending nearly 50 years working as a sports writer for the Ruston Daily Leader. Sports editor of the Daily Leader since 1970, Davis is a living history book of the past half-century of Louisiana Tech, Lincoln Parish and north Louisiana athletics and has covered four Olympics, 13 Super Bowls, three World Series, two Major League All Star games, three NCAA track and field championships, three NBA championships, 10 Sugar Bowls and numerous NCAA Women’s Tournament games, along with all the Lady Techsters basketball championship game appearances. Davis has garnered countless writing awards over the years and was a 2009 recipient of the Louisiana Sports Hall of Fame Distinguished Service Award.